Currently listing 5175	salessales properties. This stunning 5 bedroom, 3.5 bath Meadow Ridge contemporary is a standout in today's market. The original owners have meticulously maintained and stylishly updated this home which lends itself to casual elegance in both the way we live and entertain. The first floor boasts a light filled open floor plan offering both formal and informal living spaces, cherry floors, fireplaced great room, modern kitchen, and a first floor master suite. The second floor features 3 bedrooms, a full bath, and an open loft, while the lower level walkout offers a guest suite with private bedroom and bath, media, gaming, and exercise space, and a beautiful private patio along with plenty of storage space, workshop or wine cellar. Large 2- car garage, mudroom, first floor laundry and generous walk in closets. Two blocks from Park Square with parking at the door. Well maintained downtown Pittsfield office building with offices on three floors, common area conference rooms and handicap accessible restrooms on the first floor. Recent HVAC and gas furnaces, new roof in 5/19. Long life, high efficiency lighting. First floor office space available at closing. 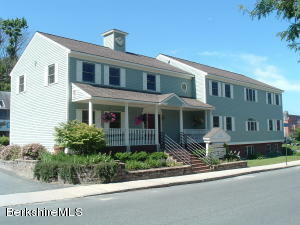 Walking distance to downtown offices and restaurants, court houses, museum and Colonial Theater. BG zone, Opportunity Zone. 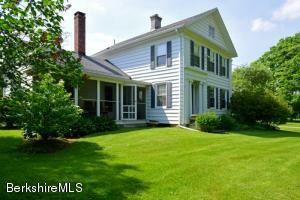 1928 Dutch Colonial situated in one of Southeast Pittsfield's most sought after and well-established neighborhoods. Built of clapboard shakes and tongue and groove lathe in the classic style there are 3-4 bedrooms (smallest bedroom converted to walk-in closet) and hardwood floors throughout. Many original details including solid wood doors with original glass knobs, original glass in most windows, interior foyer door, and dining room with coffered ceiling and built-in china cabinet. Renovations include: kitchen with Carrera marble countertops, Sub-Zero fridge, Viking stove; family room/den with custom walnut built-in desk and glass-fronted bookcases; first-floor powder room with marble trough sink and walnut cabinetry; living room with marble fireplace and mantel. Location..Location..Location. 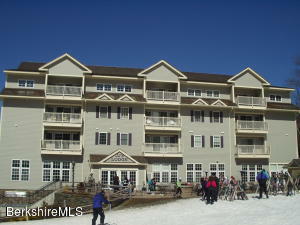 This three bedroom, two full bath unit facing the ski slopes at the base of Jiminy Peak in the Village Center. Be close to it all with convenience to the chairlifts, restaurants, kids rule and shopping. Elevators, ski lockers, central heat and AC being sold furnished. Just repainted throughout. Great rental history. Syndicated web sites may direct you to an agent other than the listing agent. 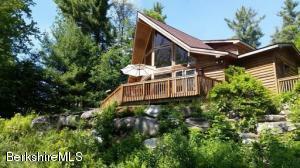 Completely renovated by two N.Y. Interior Designers, this charming farmhouse is ready for you to just move in. There are 3 bedrooms and a 12 X 27 ft finished Bonus room that offers extra overflow space. The house is fully insulated with a soy based product (totally green). There are replacement windows, a new boiler in 2012, first floor master and an alarm system. 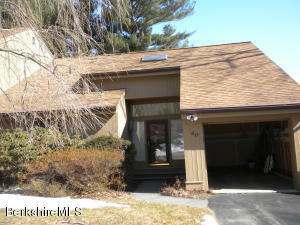 A Great location--minutes to Tanglewood and W. Stockbridge. Majority of furnishing may be negotiated as part of sale. Spacious end unit at Lakecrest with two bedrooms on the first floor plus another bedroom upstairs with a a loft to boot and storage areas.. 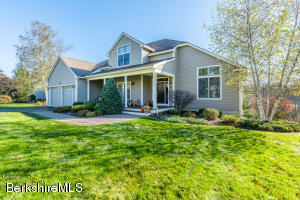 Finished basement with walkout.. Next to tennis courts, pickle ball court, pool, clubhouse and lake (even has a dock for your boat).. What more could you ask for?Gas heat and gas stove.. wood burning firelplace in great room..A one car garage and unit is alarmed..Do yourself a favor and come check it out!! 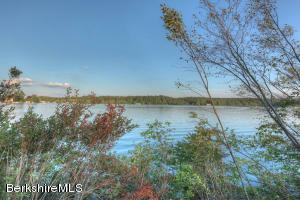 WATERFRONT LAND ON ONOTA LAKE! 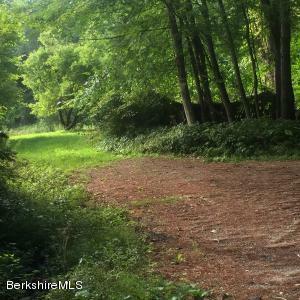 Build on one of the Berkshires' Best Lakes- 600+ acre Onota Lake. 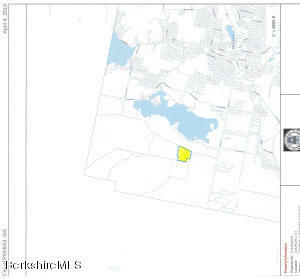 There are only three remaining parcels on this rural-feeling former Camp Witawentin, yet you are only minutes away from Berkshire Medical Center, Barrington Stage, Berkshire Theater, Tanglewood, shopping & restaurants. These parcels are all about being right on the water and includes a dock permit. Currently excess acreage is leased so there are no HOA fees for the foreseeable future. Exceptional quality land with a feeling of privacy & exclusivity. 175+/- feet of shoreline and a view across the lake to Burbank Park and no houses. Shared private driveway along Parker Brook. City Sewer hookup (connection fee applies), drill your own well, and electric and internet are ready at each parcel. Set off the road on over 4 acres this one level living home offers 3 bedrooms all with walk in closets, 2.5 baths, hard wood floors, propane fire place in the living room, open floor plan, central vac, radiant buderus heat, finished basement,attached garage with central vac, heated 50 X 60 Morton garage with a 16'X 12' door and a 14'x12',10KW generac generator. 400 AMP in garage, Under ground utilities and a gated driveway. 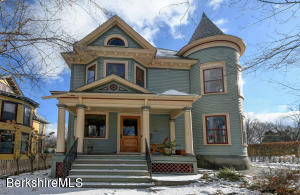 This Victorian-with-Turret is located on an important corner in Pittsfield's Southeast Neighborhood. The original interiors dating to 1902 are fashioned from quarter-sawn oak, mahogany and cherry wood. A large entry hall showcases a fireplace, grand stairway and stained-glass window. The dining room, finished in mahogany wainscoting and period wallpaper, also has a fireplace and enjoys sunlight from its southern exposure. The cook's kitchen is as functional as it is beautiful with good flow and is perfect for entertaining. The lot is complete with mature trees, including a sycamore, a dogwood, and a birch. The lot is ideal for easy care and lovely perennial garden. Off-street parking for two cars is both compact & convenient. A rare offering of grandeur honoring its architecture. Beautiful, expansive 57 acre lot located near the center of Dalton. Owner reports it is sub-dividable. Frontage on 3 roads, excellent for development. Currently in 61A. Don't miss the virtual tour!! 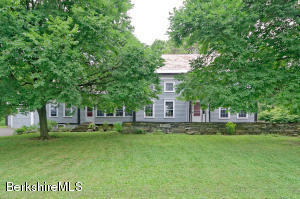 This rambling 1800's Colonial with 4/5BR 4BA has been tastefully restored on 130 Acres (subject to subdivision) is less than 1 mile from Jiminy Peak Ski Area. Move-in condition with brand new furnace. Also available with: 60x25 barn across road ready for dwelling on 25 acres of open fields. This beautiful new modern single family detached home within the highly sought Berkshire Country Meadows condominium development awaits your finishing touches. Featuring cathedral ceiling great room, open floor plan, recessed lights, generous allowances for countertops, vanities, flooring, and fixtures. 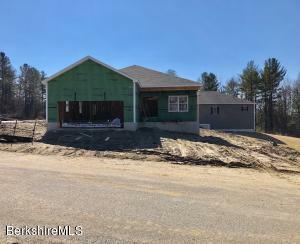 The quality of construction is apparent throughout this 3 bedroom, 2 bath home and there is still time to customize the interior to suit your personal taste and style. Perfectly sited on a premier upper lot so as to take advantage of year round mountain views. Additionally, the walkout lower level can be finished $70 per square foot. Estimated completion date is June 2019. A short drive to lakes, golf, skiing, restaurants, galleries, shopping, and all Berkshire cultural attractions. 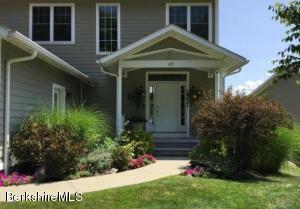 Located in desirable SE Pittsfield atop Mountain Drive with spectacular sweeping views. This contemporary home offers an open and bright floor plan that take advantage of the vistas. Beautifully updated kitchen and baths using tasteful finishes sure to appeal. Newer driveway, central air conditioning, hardwood floors, roof in 2013, pool liner 2012, pool pump and cover 2015. Two car heated garage. Unfinished basement for plenty of storage. Mature landscape. Beautiful deck and pool with picturesque views of Mt. Greylock. Walk out the door to easy access to miles of trails up Washington Mtn. Near by Kirvin Park for recreation and great dog walking area. Williams Elementary School district. 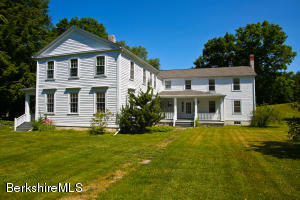 Easy drive to downtown, shopping, and most Berkshire cultural attractions. Wonderful, light-filled farmhouse, with two separate wings of living space, offering the rare opportunity for a Berkshire home that helps pay for itself with a rental or AirBnB. The south wing comprises a first-floor living room, library w/ fireplace, dining room w/ fireplace, kitchen, laundry & half bath, and two bedrooms w/ shared bath upstairs. The north wing, with its beautiful spiral staircase, comprises a great room w/ fireplace, half bath/laundry & kitchen on the first floor, & two bedrooms with shared bath upstairs. As a bonus, a separate west section offers an additional bedroom or office w/ en suite bath. 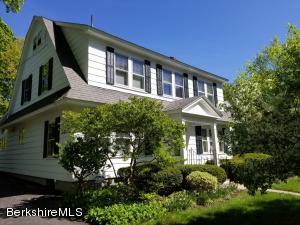 Nicely renovated & privately set, with mature trees & a beautiful field, minutes to Pittsfield, Lenox & West Stockbridge, convenient to the Taconic Parkway & Mass Pike. The location is superb. Sun drenched top-of-the-hill condo with absolutely stunning views, simply breath taking! The high-end interior finishes of marble, stainless steel, hardwoods, plush wall-to-wall carpet -- nothing was spared in this home. The soaring ceiling heights and the flow of this condo are right on target! The custom double size screened-in porch has incredible mountain views with plenty of room for entertaining. A finished lower level entertainment center with private office and media room. Bedrooms are large and bright with gorgeous views. You will be delighted from the moment you walk through the front door. The outside landscaping was also professionally done. Don't miss out on this condo, come and see for yourself! Furnishings are available for purchase separately. 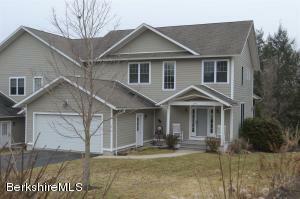 Gorgeous end unit with 5 bedrooms, 4.5 baths at the Pines at Bousquet! Short walk to the community pool from this privately sited unit. A must-see for those seeking one-level living.! Spacious living room with fireplace opens to dining, kitchen, screened porch and open deck. Master suite with lovely wooded views. Second floor with three additional bedrooms and and built-in office in the open loft area. Bonus is the lower level walk-out level including 5th bedroom, full bath, game room and large family room that opens to deck. 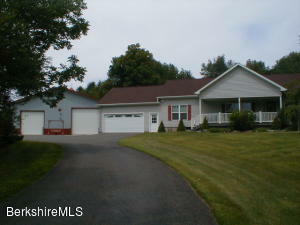 Natural gas heat, central a/c, lawn sprinkler system. This tastefully appointed condo is move-in ready!